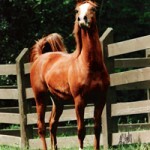 Balagan was a once-in-a-lifetime horse, gifted with talent rarely equaled by purebred Arabians. His quiet, kind, and intelligent disposition was a joy to be around, and to ride him was a memory not ever to be forgotten. 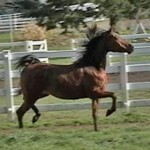 His power literally shook the ground underneath him with high trotting motion and hocks that nearly hit his underside. He always had more to give if the rider asked for it – correctly. His intellect set him apart and continues to be a trait seen in all offspring. He and all his get prefer to be asked, instead of being told. 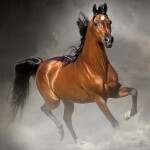 They enjoy the bond between horse and man earned from mutual respect and trust. 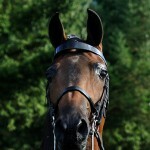 Balagan was a multi-National performance champion from the incredible legacy of Negatraz and MHR Port Macja. 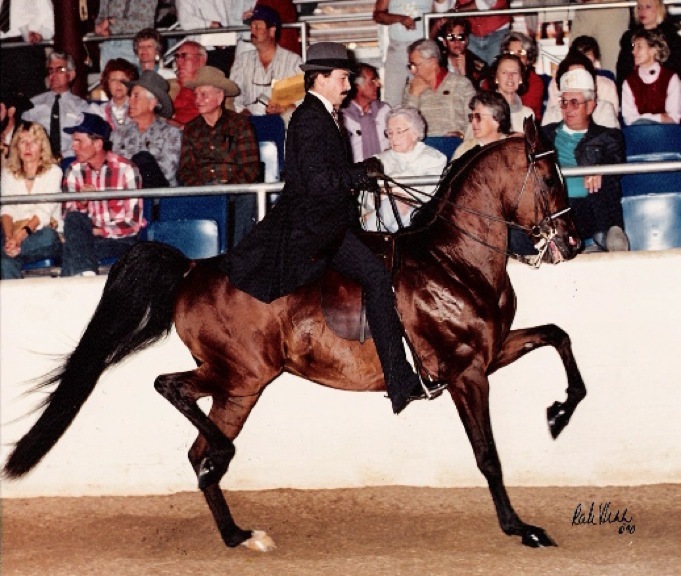 Though minimally used as a sire, Balagan has several get with championships in English Pleasure, Country Pleasure, Pleasure Driving, Halter, and Dressage. 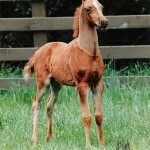 This entry was posted in Champions, Heritage, Stallions and tagged progeny on October 15, 2013 by Anita Enander.